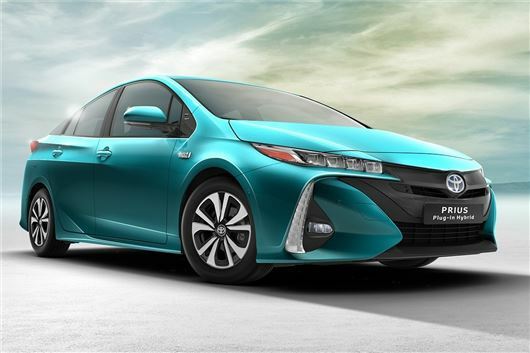 Toyota has announced details of the plug-in hybrid version of its new Prius, which is likely to cost around £30,000 when it goes on sale at the end of 2016. Figures are yet to be finalised, but Toyota estimate official economy to be 202mpg, with emissions of 32g/km. Those figures will be based on the 8.8kWh battery being full so, like with all plug-in hybrids, the real world figure will depend on driving style and journey distance. Maximum pure EV range is 31 miles, with a maximum speed of 84mph on battery power alone. Charging is said to take around two hours and 20 minutes. When the car is being driven out of pure-EV mode it will still favour all-electric drive wherever possible. The petrol engine is the same 1.8-litre fitted in the regular Prius, with which the plug-in model shares its underpinnings. The Plug-in model has different styling, though, with a sleeker roofline and different headlights the most obvious differences. Features include automated parking, LED headlights, adaptive cruise control, autonomous emergency braking, and a built-in wireless phone charging pad. There is also a new heat pump air conditioning system designed to keep the car warm on cold days without seriously reducing pure EV range.